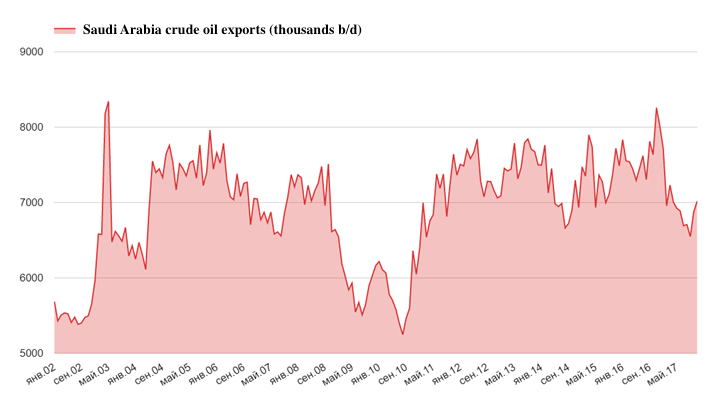 After a short break Saudi Arabia continued to increase oil exports from the country. According to JODI, the Middle East Kingdom supplied to the world market more than 7 million barrels per day in November, marking the growth of export for two consequent months. Recall that in September last year, oil exports from Saudi Arabia fell to the lowest level since the spring of 2011, after it began to gradually recover. This was done to balance the oil market, pressing stockpiles below the five-year average. According to calculations by Citigroup, last year the size of crude oil stockpiles fell below the average level of the last five years, but OPEC official figures show they are still higher, that is, it is too early to weaken the grip. It is increasingly difficult for OPEC pact members to resist the temptation to break commitment when prices are rising. However, the increase in exports from Saudi Arabia is most likely due to the seasonal factor and the high demand for energy. Traditionally, in the first months of autumn, refineries in the Kingdom undergo maintenance work, which leads to a decline in exports. Given that in the fourth quarter of 2017 there was an undersupply of crude oil by 0.9 million barrels per day, the growth in supplies from the kingdom did not significantly affect the global supply. Crude oil prices has been rising for half a year with bearish pullbacks proved to be extremely short-lived. Is it time for market consolidation? From June 2017 to January 2018, the price of “black gold” jumped by $26 or almost 50%. 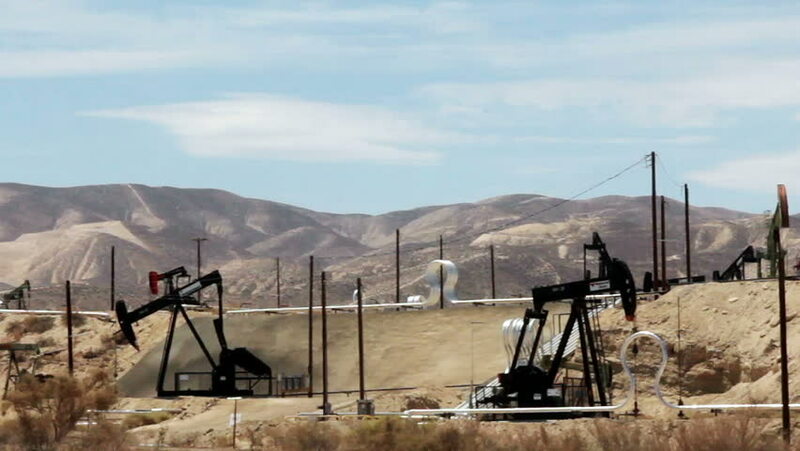 Prices though failed to gain a foothold above $70 per barrel and they again dropped to $68 this week. Now the prices have approached the traditional level of oil support – a 35-day average (yellow line). In periods of trend movements, it is the first line of support. In case of its breakdown from the top down, the next level of support for the “Volume Profile” is in the region of 63-65 dollars per barrel. By the way, it is crosses the line of the 20-year upward trend in oil. In addition, the second attempt to test the level of $72 per barrel was accompanied by a divergence with the “Index of relative strength” (RSI). At the same time, the index pointed to a strong trend movement, but also to its slowdown. 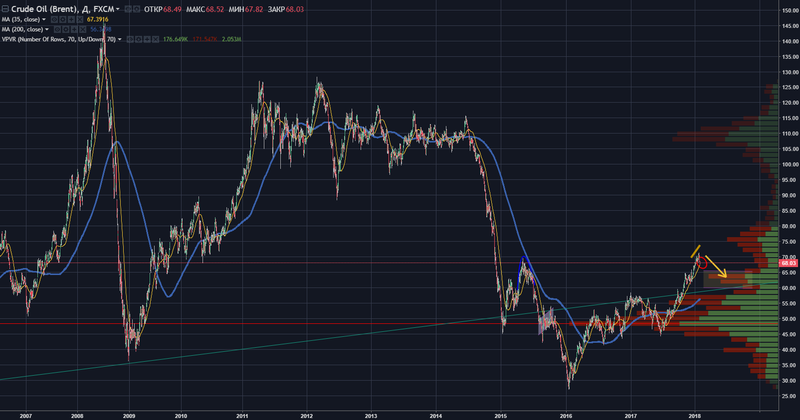 In our base scenario, the quotes will be able to break through the 35-day average and fall below 65-64 dollars per barrel, where a kind of consolidation will take place. It is possible that the decline will be accompanied by a correction in the US stock markets. Oil, as is known, in recent years has become a kind of barometer of the situation in the world economy.